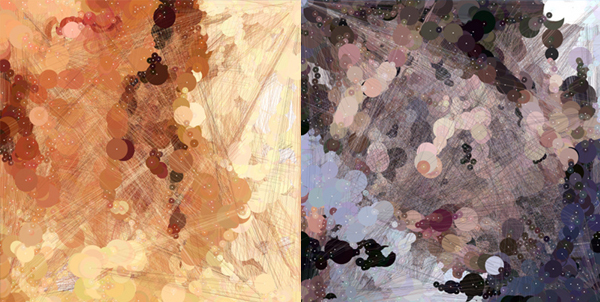 Alison Mealey creates artwork generated from videogames and a computer code she has written. The results seem to glow from within and use the most beautiful colors. Two images from Allison's gallery.